Accredited Training PRINCE2 Courses in Cambridge, we deliver fully accredited PRINCE2 training courses for all levels of project personnel. We provide fully accredited PRINCE2 courses in Cambridge and across the UK as both scheduled courses and in-house delivery. Our PRINCE2 courses in Cambridge are designed for all levels of project personnel wishing to gain a worldwide recognised PRINCE2 qualification. 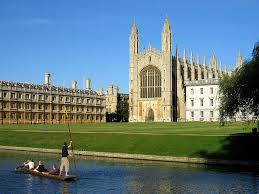 We have been providing regular scheduled PRINCE2 courses in Cambridge since 1996. Our training courses in Cambridge are delivered at the Trinity Centre, on the Cambridge Science park with easy access from the A14 and plenty of free parking. Insights have been at the forefront of promoting and delivering the best practice training and consultancy for the AXELOS products, such as MSP, M_o_R and ITIL. since 1996.